Industries do need to navigate their computing systems seamlessly, so we provide industrial pointing devices as a reliable solution to this requirement. Steel manufacturing, military, distribution and food processing are some of the industries that have harsh environments. At the same time, these industries that require high efficiency for increased productivity. However, acquiring these two conditions can be challenging. Fortunately, there are ruggedised computing systems wherein industrial pointing devices can be plugged in. These rugged pointing devices are advantageous because it offers seamless navigation to streamline operations which leads to an increased production rate. However, computing devices are not one-size-fits-all, so it is essential to understand the right device for optimising operations. Hence, opting for a ruggedised pointing device guarantees that product can last in extreme conditions. With our company’s 30 years of experience in the industrial computer industry, we can help you better understand the most suitable device for your computing systems. 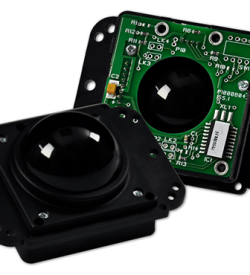 So, are you looking for a ruggedised trackerball with an IP65/NEMA 4 protection sealing? How about an industrial-grade touchpad option with a wear/chemical resistant overlay? CKS Global Solutions offers a variety of robust pointing devices for manufacturing and industrial processes. Do you want to navigate complex applications in steel manufacturing efficiently? Perhaps, looking for seamless operability of computing systems in the military operations? Our industrial pointing devices are designed to give total reliability throughout the entire range of harsh industrial and commercial environments. With different size variations and connection options, our rugged industrial trackerballs and touchpads can be used in nearly any environments. All use the standard Windows® OS drivers, so no extra configuration needed, and within a 3-year warranty as standard, which can be extended to 5 years, you are safe in knowing that our industrial pointing devices can last! Moreover, our device has different mounting options so it can be installed in different workspaces. The devices have a life expectancy of >1 million switch cycles. What’s more, the standard 3-year warranty can be upgraded to 5 years as required. Our TB38 – 38.1mm industrial trackerball is a sturdy pointing device for smoother navigation. With its IP65/NEMA 4 sealing, phenolic resin ball material, and universal or reduced plate options, the device makes it ideal for areas with challenging conditions and limited workspace. 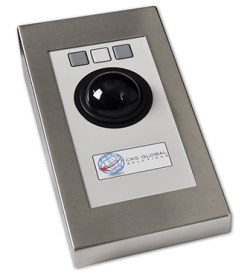 The small footprint of our TB38 industrial trackerball makes it an excellent pointing device solution. What’s more, it has sealed mechanical embossed keys with >6 million ball revolutions which allow the device can last under extreme usage. For excellent precision cursor control and durability, the TB50 rugged industrial trackerball is the right choice. 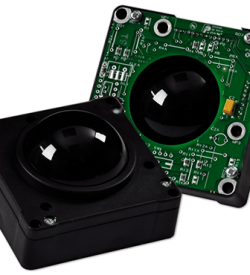 The 50mm ball size and 200 pulses/ball revolution make it easy to navigate a computing system’s interface. Our TB50 – 50mm (2″) Rugged Industrial Trackerball has a quadrature, full protocol or USB interface. Moreover, it has an operating temperature of -20°C to +60°C. Indeed, it is made to last through an entire range of extreme industrial and commercial environments. 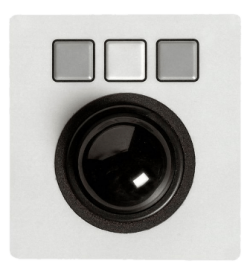 If you are looking for better precision cursor control on your keyboards, use our TP rugged industrial touchpad. This industrial pointing device has a compact 65 x 55mm surface area which makes it the ideal for industries dealing with heavy machinery. CKS Global Solutions provides large industrial devices for manufacturing, military or distribution needs. Our different ruggedised pointing devices are sturdy solutions for seamless operations in industries with extreme environments. We take pride in providing high-quality products and services to our client. Our team of technical support can give informative and profound answers in regards to the computing needs of your business. 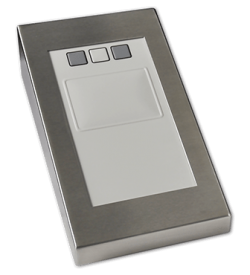 Call us at (+44) 01438 747111 today for a free quote and start building your ideal industrial pointing device today.